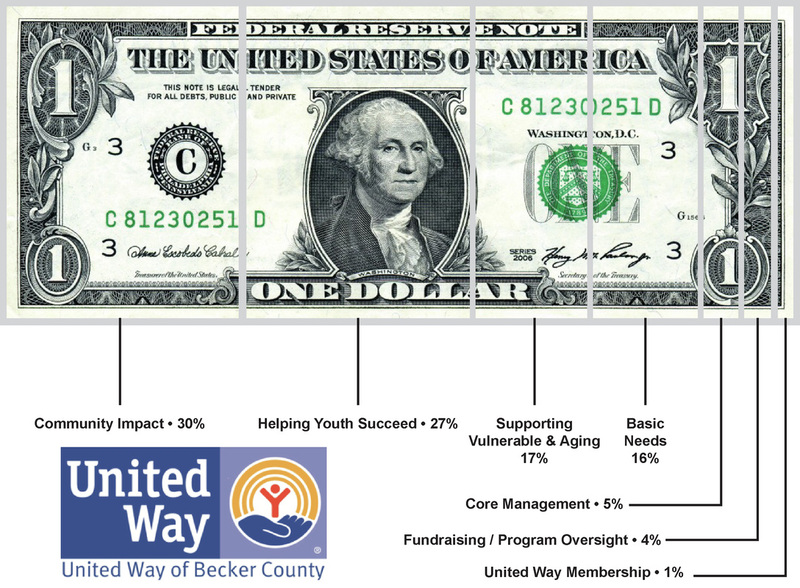 What Your United Way Dollar Does. 3When you support the United Way of Becker County, you are joining with folks from across our communities to support 36 agencies and programs that provide local services to strengthen people and families throughout our community. If you are interested in helping support United Way of Becker County, you may do so by mailing your contribution to United Way of Becker County, P.O. Box 348, Detroit Lakes MN 56502-0348 or by giving safely and securely online through PayPal using your credit card or bank account. To learn about our 2018-2019 Campaign - Without YOU There Would be No Way - click HERE.